Seriously, how long have we been waiting for this? Since 2014, when the trailer blew up online. You can finally get your hands on the game tomorrow. And it’s from Canadian developers Studio MDHR. The team is scattered all over Canada and the “virtual studio” model seems to have worked for them. 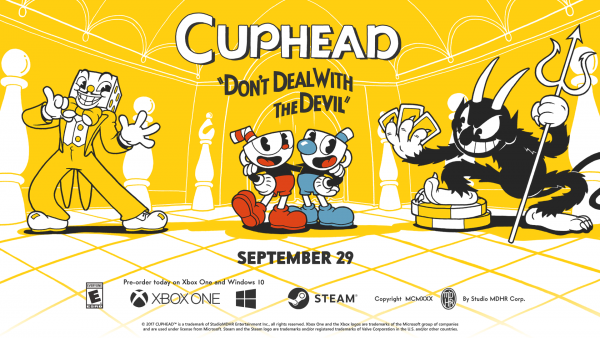 Rolling Stone has a great article that uses Cuphead as a launchpad to talk about the influence of early Fleischer cartoons and how the aesthetic continues to pop up in music videos and tv shows today. Read it. This entry was posted on Thursday, September 28th, 2017 at 1:07 pm	and is filed under News. You can follow any responses to this entry through the RSS 2.0 feed.